Our exploration of set theory last time was a precursor to discussing dilation and erosion. Simply put, dilation makes things bigger and erosion makes things smaller. Seems obvious right? Let’s see if the mathematicians can muck it up. The light blue area marks the original location. Dilation is an extension of translation from a point to a set of points. If you union the sets created by each translation you end up with dilation. 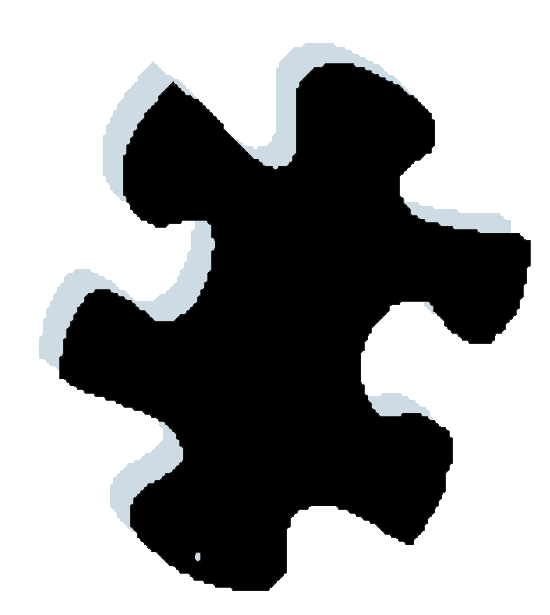 In the following diagram, the black pixels represent the original puzzle piece. The light blue halo represents several translations of the original. Each translation is translucent so I have tried to make the image large enough so you can see the overlap. Notice how the hole is missing? Kinda reminds me of one of our convolution kernels. Structuring elements are often called “probes”. This one is centered at (0,0). 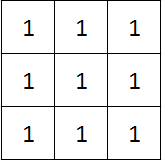 Using the PixelSet we created last time, the code is pretty straightforward. 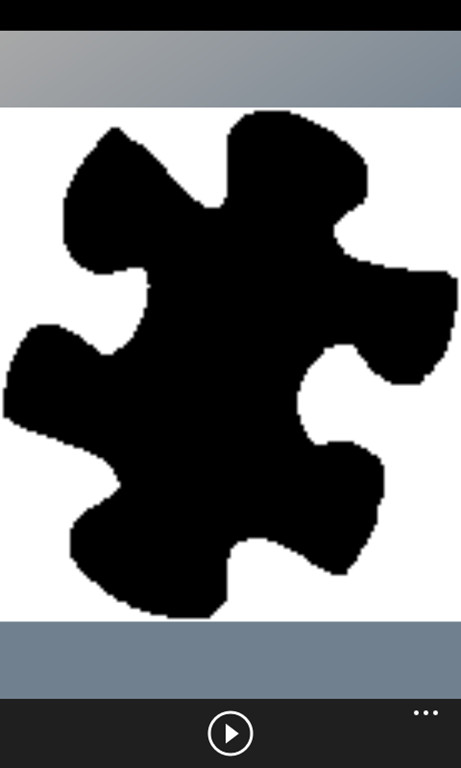 Here is the puzzle piece dilated by one pixel in all directions. The hole is gone. Erosion is similar to dilation except that our translation is subtraction instead of addition and we are finding the intersection instead of the union. 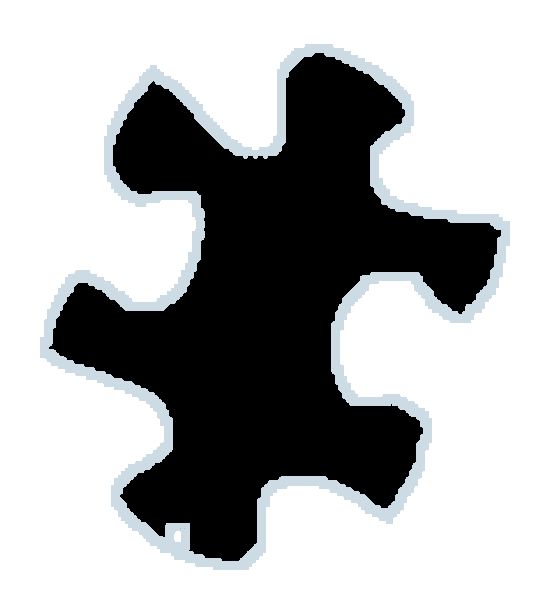 Here is an image that has been eroded by 10 pixels in all directions. 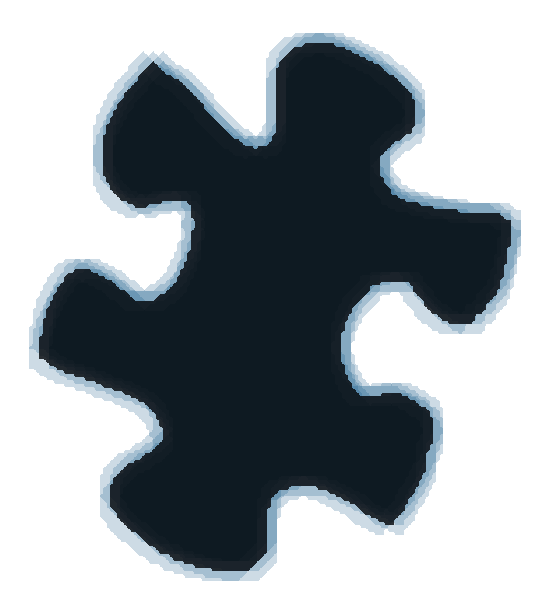 The light blue area is the original puzzle. Here is the puzzle eroded by one pixel in all directions. That hole is a little bigger. Like I said at the beginning, dilation makes things bigger and erosion makes things smaller. Interestingly, erosion is simply the dilation of the background and dilation is the erosion of the background. Hello very good article , but how i can apply this Algorithms to Images? For example i select some image and i want to apply this Functions is possible? Actually, these techniques were meant to illustrate the idea, but they are probably way too slow for actual image processing.